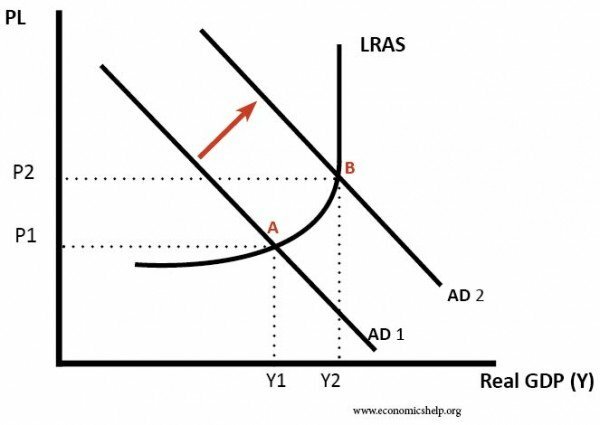 Aggregate demand (AD) is the total demand for goods and services produced within the economy over a period of time. 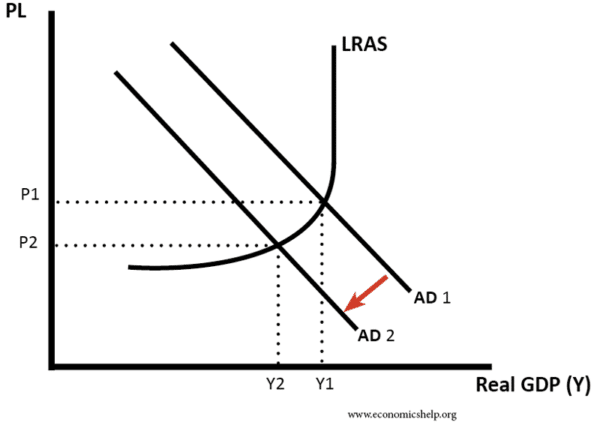 Aggregate demand (AD) is composed of various components. 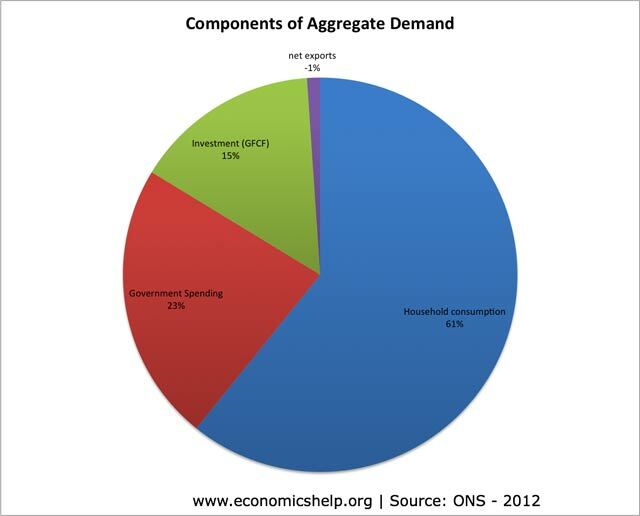 C = Consumer expenditure on goods and services. 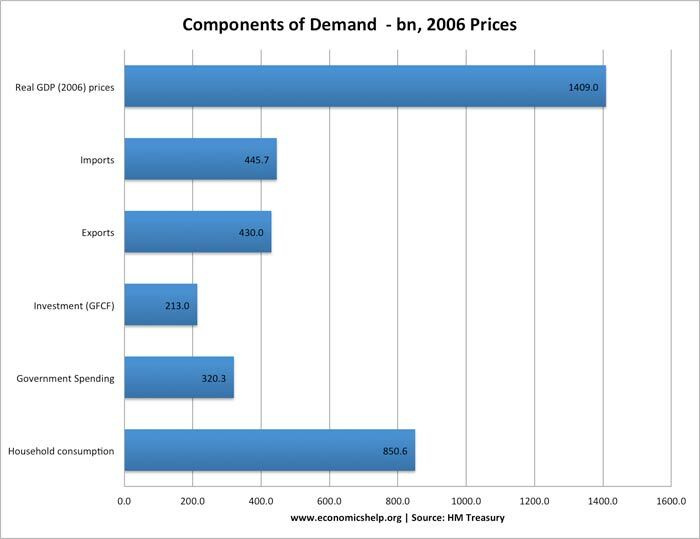 G = Government spending e.g. spending on NHS, education. Note transfer payments in the form of pensions and unemployment benefits are not included because they are not related to output produced. 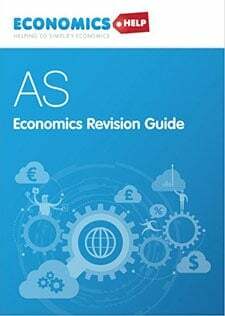 M = Imports of goods and services, although goods enter the country money is leaving the economy to go to other countries. Therefore AD falls. 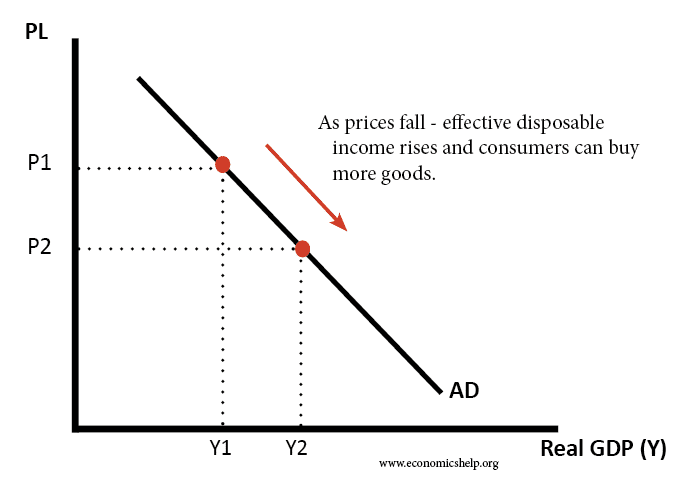 At a lower price level, people are able to consume more goods and services, because their real income is higher. 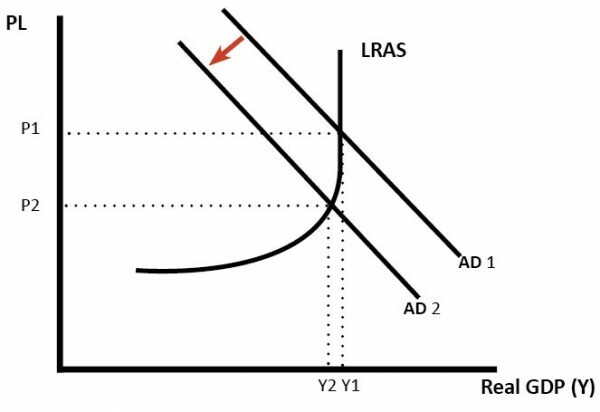 At a lower price level, interest rates usually, fall causing increased AD. At a lower price level, exports are relatively more competitive than imports. 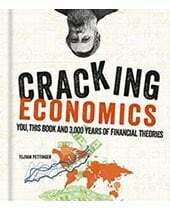 Lower Interest Rates which makes borrowing cheaper, therefore, people spend more on credit cards. Also, mortgage payments are cheaper which gives people more disposable income. 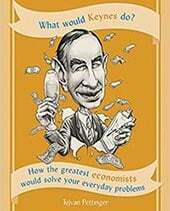 Lower interest rates, this makes borrowing for investment cheaper. 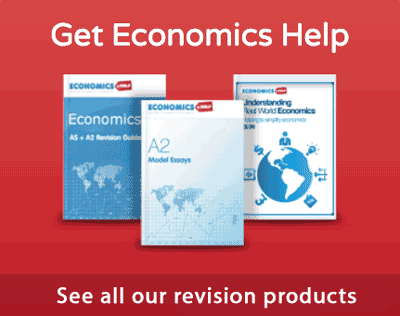 The UK more competitive, this makes goods from other countries appear less competitive. Lower GDP, therefore consumers will have less money to spend. 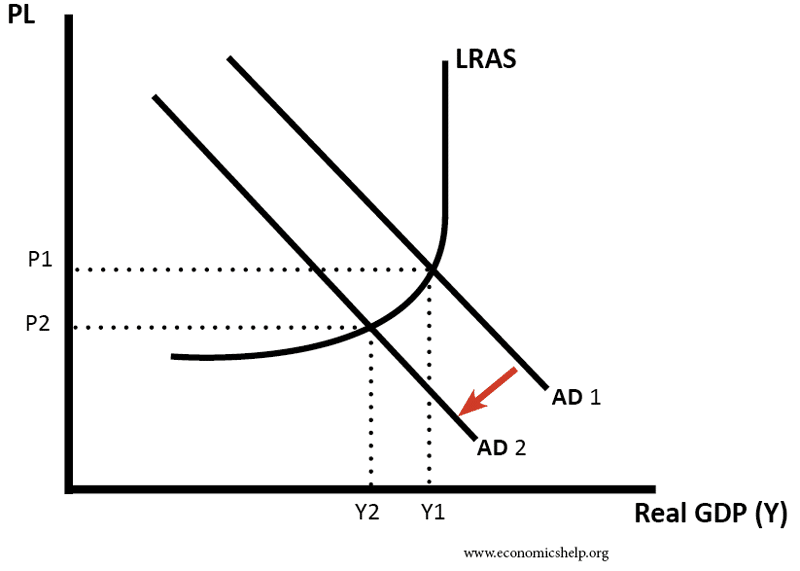 In this diagram, the fall in AD has mainly caused a fall in the price level, with little change in real GDP. In the above charts, I left out two minor factors NPISH and change in inventories to make it simpler.